A reading environment is a reading where the text is processed through spoken voice digital treatments and multi-channel surround. 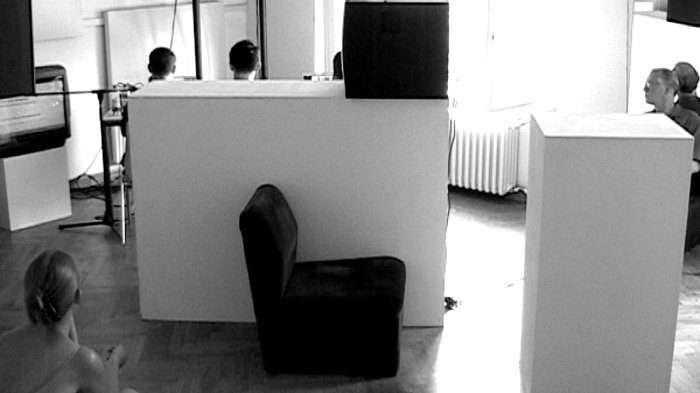 The reading environment to which these samples belong has been realized in July 2006 at the Berlin University of the Arts, Germany. Languages: Italian and German (translations by Alessandro De Francesco, Claudia Gabler and Angela Sanmann).